I, Mr. Fool, have been training hard to run swift water canyons. It’s taken a lot of work to get to this point. I’m relatively new to canyoneering. My more experienced counterpart, Ms. Fool, introduced me to the sport last year, and she has been teaching me increasingly difficult technical know-how. 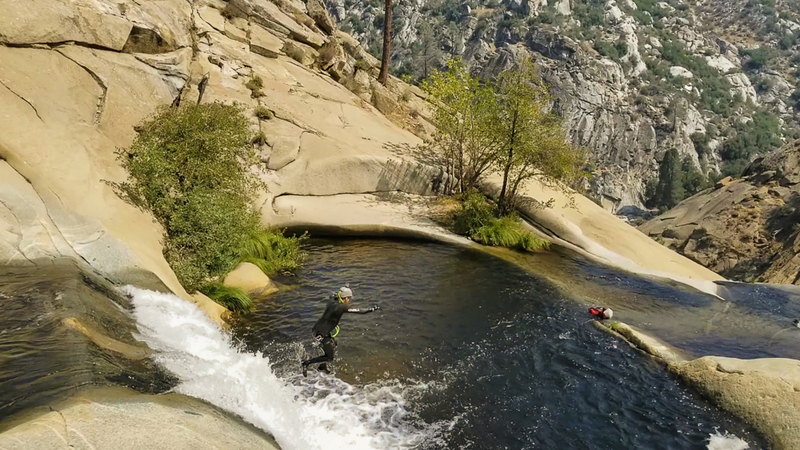 Ms. Fool and I share the goal of tackling plenty of swift water canyons. These are some of the most dangerous types of canyons there are. 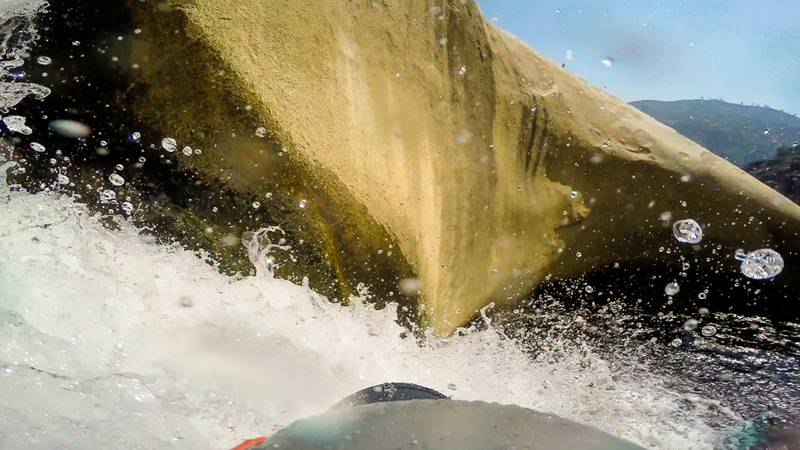 Swift water makes canyoneering – already a dangerous sport – more challenging and risky. 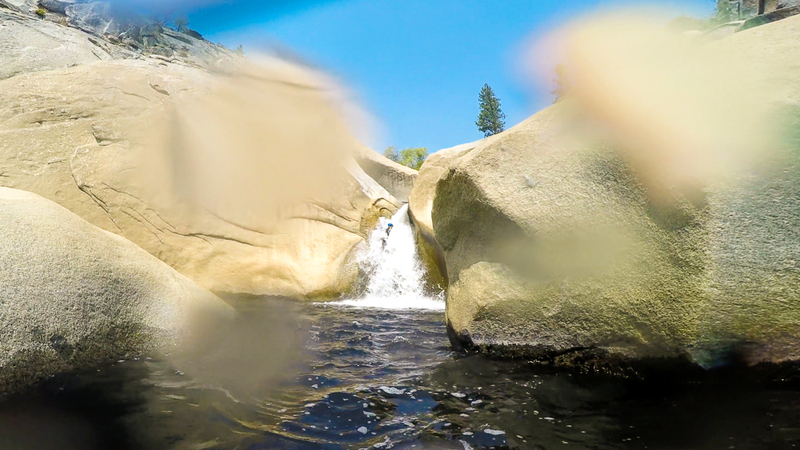 There can be strong rapids, hidden underwater traps, and (of course) chilly temperatures. 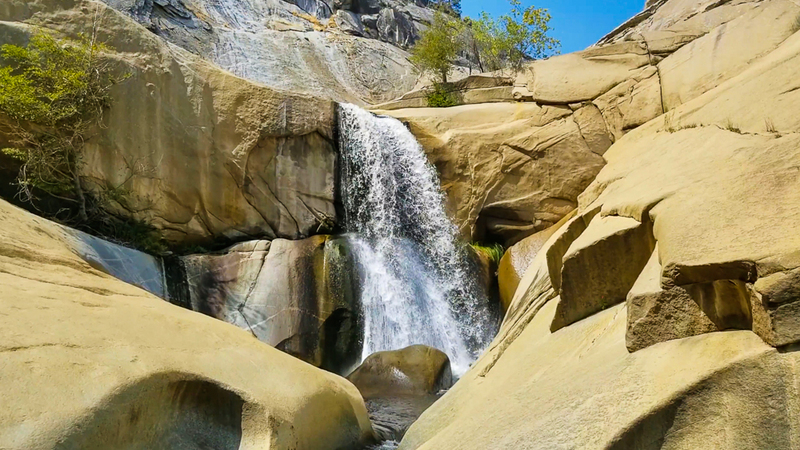 But often these canyons allow you to experience beautiful places up close and in new ways. 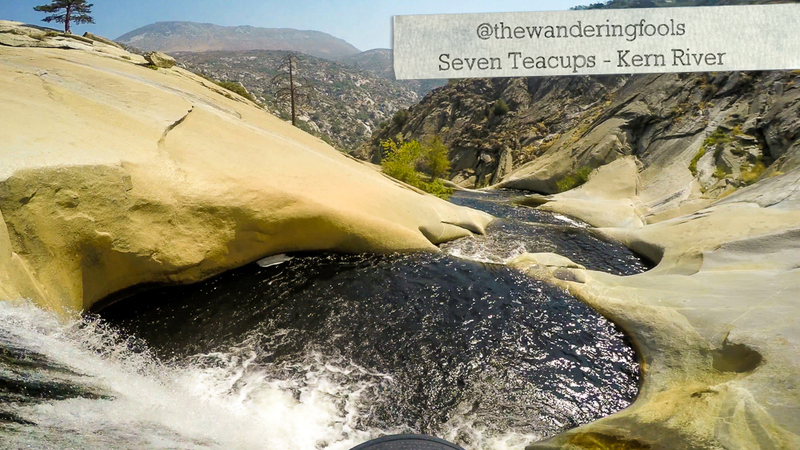 We picked Seven Teacups as our first swift water canyon together. 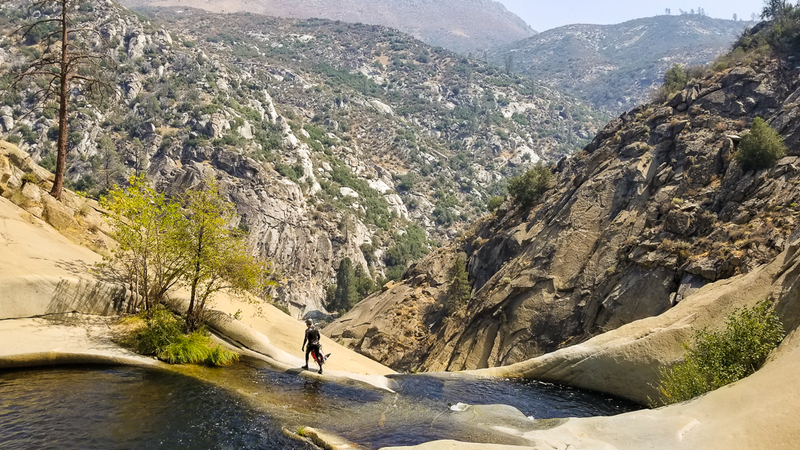 Many canyoneers use it as a training ground for more difficult swift water canyons. Plus, Ms. Fool had completed it before. Check out the video of our escapade, and then read about it below! 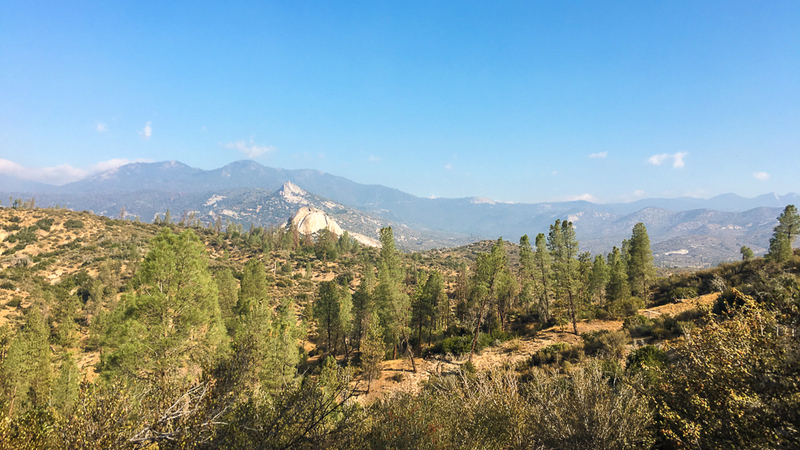 We wanted to get an early start, so we drove up the night before and camped. Early the next morning, we ate a light breakfast, navigated to the trailhead, and started hiking. The weather was perfect. The temperature highs for the day were forecast in the low 70’s. 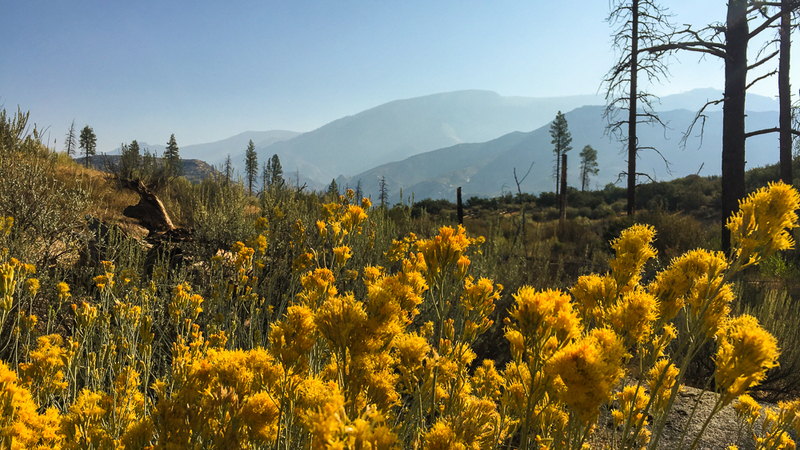 Lots of wildflowers blooming along the way. When we reached water, we suited up (wetsuit-ed up, that is), and made our way downstream. The water was chilly. Thankfully, we were equipped with Merino wool base layers, wool socks, and neoprene gloves. Jumping into the cold water. Once we reached the start of Seven Teacups, we were able to confirm that the water level was safe. The night before, we looked at data from various reporting stations. Everything looked good. But overnight there was lots of lightning. So we weren’t sure if any rain upstream had made the canyon too dangerous to complete. The water indicators looked good. So we jumped in. Well, I did. Ms. Fool had me do the first swim. 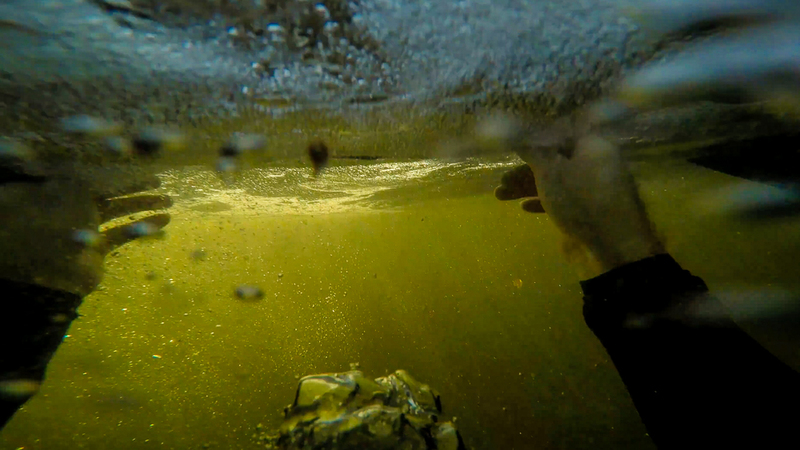 I fully submerged myself beneath a stone arch while building our first anchor. Swimming under the arch to set our anchor. The transition from the 3rd to the 4th teacup was a little hard and took some teamwork to get safely past. The water funneled over a narrow lip into a waterfall, and the current was swift. Ms. Fool is light, so she couldn’t get close enough to the anchors without almost being sucked over. (Finally, a reason for her to eat more junk food!) I was able to straddle the lip, set the rope, and descend first. 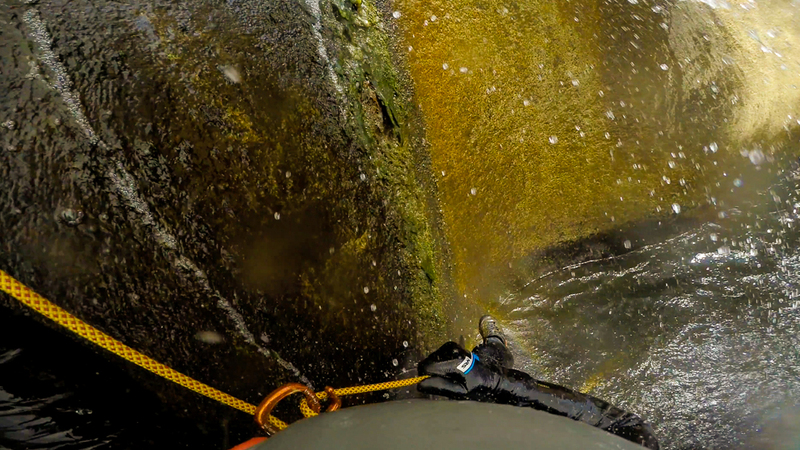 A good 6-7 seconds passed as I rappelled down the waterfall. I couldn’t breath, see, or hear anything but the water pelting me on all sides. It was the most risky part of the canyon. Definitely not place you would want to get hung-up. Setting up the anchor for the 3rd to 4th teacup transition. Taking a deep breath before vanishing into the waterfall. A sigh of relief as I finish the waterfall rappel. Ms. Fool about to vanish into the pummeling water. Other than feeling a bit chilly, it was smooth sailing after that. 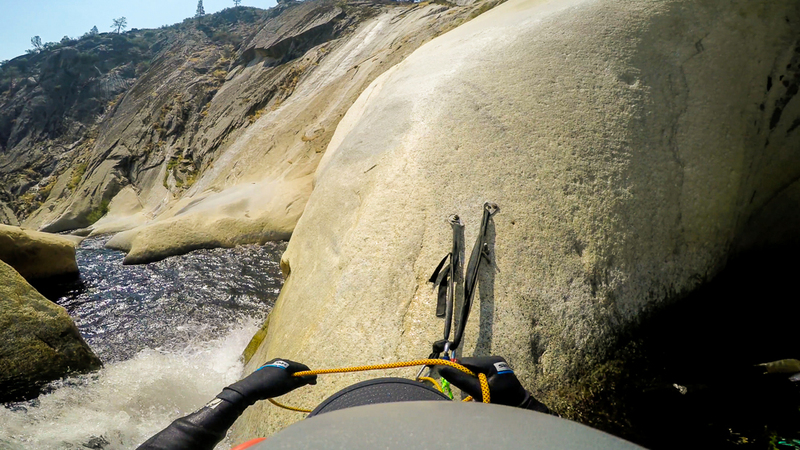 We jumped some of the teacups, rappelled some, and even skipped a few. (Hey, we were cold, okay?) By the last rappel, we were both exhausted. Too tired to rappel? Why not jump? 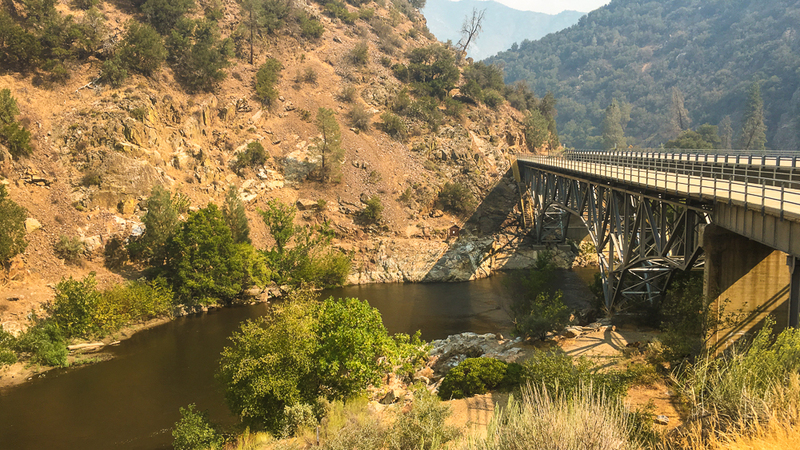 We crossed the Kern easily and hiked the long way back to the cars. We saved ourselves some walking by floating down the gentlest parts of the river. 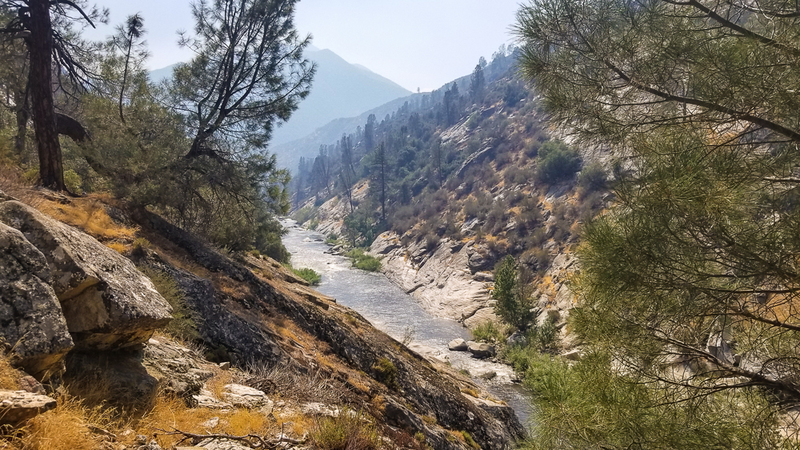 Hiking back along the Kern River. The bridge that brings you home. It was a great first experience for me. I’m glad I put in the work doing smaller, less exciting canyons, and making sure I was equipped with the right gear and knowledge. With the water levels as high as they were, it could have quickly gone from fun to scary. Knowing what to do, researching thoroughly beforehand, and learning emergency safety measures is crucial.